Joyce grew up in East Orange, NJ where her family was active in a nearby Presbyterian church. She always felt at home in the church and looked forward to her time there. After graduating from East Orange HS, Joyce went on to major in religion at Mt. Holyoke College. She came to Baltimore after graduation in 1962 to work for her MEd at Goucher College and teach third grade in a Baltimore County school. She joined Second Presbyterian Church in 1964 and was married here in 1966. While her two daughters were young, she volunteered in the church school and was superintendent for about 10 years. In 1987, she was offered a part-time position as Pastoral Assistant at Second, and has happily continued in this ever-evolving role ever since. 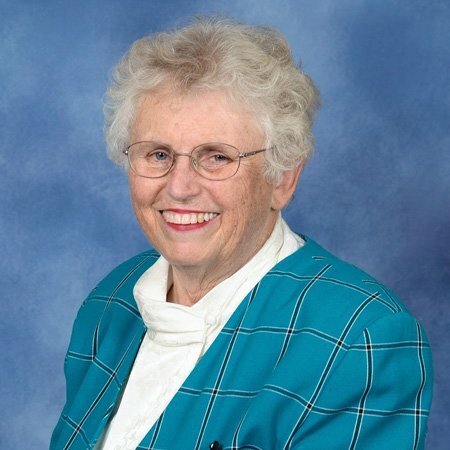 In particular, Joyce provides loving care and concern for older members of the congregation, but she also supports the Deacons, coordinates donations of chancel and holiday flowers, changes the tower clock and sets the carillon, resets lights and thermostats, moves hoses on hot summer days, and performs countless other tasks around the church. Joyce loves hymns, especially many of the old ones from the 1940 Presbyterian hymnal. If you ever need a quote from an old hymn, Joyce is your go-to person.